As climate change warms the Earth, melting ice is uncovering troves of cultural treasures and dangers. These once were thought to be lost forever, from mummified bodies and ancient coins to anthrax-infected reindeer carcasses. Now, scientists have identified what might just be the most surreal thing to emerge from the ice. It is the remnants of a covert U.S. Army base teeming with radioactive waste. It was abandoned decades ago in northwestern Greenland. Climate change could uncover the toxic and radioactive waste left behind at Camp Century as early as 2090. This is according to a study published in the journal Geophysical Research Letters. The 115 feet of snow and ice now covering the Cold War-era base is melting faster than it can be replaced. That is a prospect the military likely hadn't dreamed of at the time. The study's authors warn that the soon-to-be-uncovered waste could become a political minefield and foreshadow future international conflicts as climate change reshapes Earth. When the ice melts, an estimated 9,200 tons of physical materials and 53,000 gallons of diesel fuel could be exposed. They could be carried toward the ocean by meltwater. Other waste at the site includes small amounts of radioactive coolant water from Camp Century's nuclear power plant, and carcinogenic toxins used in paints and fluids called polychlorinated biphenyls (PCBs). 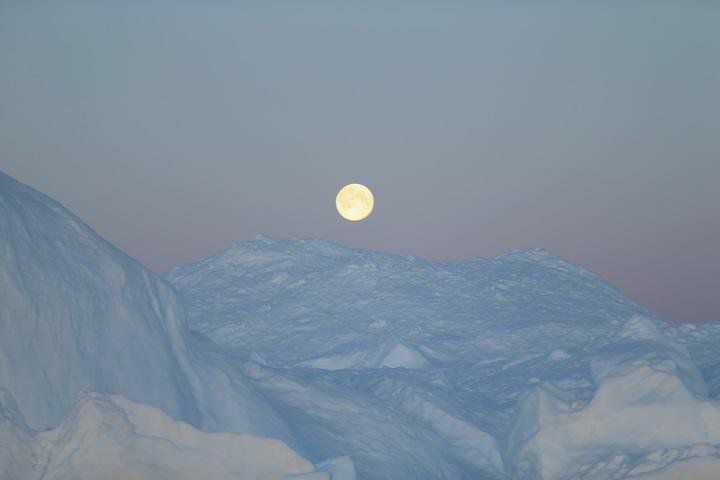 PCBs are already found in high levels in the Arctic. They were released into oceans in urban waste and carried there by wind and ocean currents. Camp Century was founded nearly 60 years ago. It was to be a model of new kind of Arctic base. Just 800 miles from the North Pole, the base was built in large trenches. These were buried underneath ice and snow. That was to protect the base and its personnel from temperatures that could reach minus-70 degrees and wind gusts up to 125 miles per hour. Camp Century included its own nuclear power plant, scientific labs, a library and even a chapel and barbershop. This is according to an overview of the base written by historian Frank Leskovitz. This "city under the ice" was no secret. The newscaster Walter Cronkite visited it in 1961. But its true purpose was a secret. And that was to house nuclear weapons. In reality, Camp Century was designed as a cover operation to house workers and equipment for what the military had designated "Project Iceworm." Even Danish authorities had no idea what was really going on in their territory. "It sounded so farfetched that I didn't know whether to believe him," says international policy expert Jeff Colgan, of his reaction upon being approached by a glaciologist at York University to coauthor a study on the future of Camp Century's remains. In 1959, the Cold War arms race between the United States and the Soviet Union had reached a fever pitch. The U.S. military sought a way to secretly store nuclear weapons underneath Greenland's ice sheet to launch over the Arctic Circle in case the war heated up. The Army envisioned an underground highway of tunnels. They could stretch across more than 52,000 square miles of Greenland's ice sheet. In case of an attack, up to 600 specially designed nuclear missiles would travel through these tunnels to launch points across the island. However, even the U.S. military couldn't change the course of vast sheets of moving ice. Despite efforts to maintain the underground tunnels, Greenland's continuously shifting ice sheet forced the Army to abandon the base. That was in 1966. It was inconceivable that the 115 feet of snow now covering Camp Century could one day melt away, says William Colgan. He is the glaciologist who approached Jeff Colgan (no relation, amazingly). The base was forgotten for decades, until the Danish government uncovered evidence of the true nature of Camp Century in 1995. William Colgan stumbled into this arena through an "unusual route." 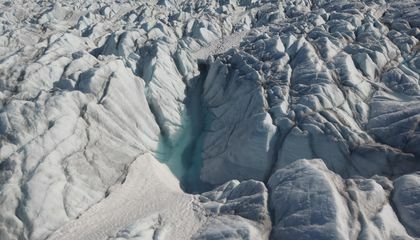 During its operation, scientists based at Camp Century drilled multiple cores into Greenland's ice sheet, including one to a depth of more than 4,500 feet. For climate scientists, these kinds of ice cores have become a valuable proxy for reconstructing the Earth's past climates. William Colgan was studying the Camp Century cores, which cover 13,000 years of climate data. That is when he heard references to the "surreal stuff" being done at these bases. Given the controversial history of the base, it came as little surprise that any research into the remains of Camp Century would be a delicate matter at best. NATO and the Danish government declined to fund the research. So William Colgan says he and a group of young researchers were forced to put together their study as an "evening and weekends project." While the amount of PCBs and radioactive waste that Camp Century will release is small compared to what already exists in the Arctic, the political ramifications of that pollution could be huge. As William Colgan puts it: "We've gone from 'eternity' to 'we really need to start thinking about this.'" Why were nuclear weapons stored at Camp Century? In response to "A radioactive Cold War military base will soon emerge from Greenland's melting ice,"They found a secret under ground base that held nuclear weapons in 1962. The U.S. military sought a way to secretly store nuclear weapons underneath Greenland's ice sheet to launch over the Arctic Circle in case the war heated up. The Army envisioned an underground highway of tunnels. They could stretch across more than 52,000 square miles of Greenland's ice sheet. In case of an attack, up to 600 specially designed nuclear missiles would travel through these tunnels to launch points across the island. So that is why they stored nuclear weapons and how that gave an advantage to the U.S.during the Cold-War. The fact that scientists have no physical evidence, just hints here and there, makes me question wether this article is true or not. I can understand why the Danish government and NATO did not approve. This is just another reason why global warming must be slowed down. This is a very interesting article about a relic from the Cold War. I did notice some not needed sentences like "He is the glaciologist who approached Jeff Colgan (no relation, amazingly)." Other than that no punctuation or spelling errors. Also I think they stored the weapons at the Camp because the U.S.A wanted to keep them away from the citizens in case one went off. they shouldn't share this info.